Contemporary LED Ceiling Spot Light Bar - Double Insulated Class 2. 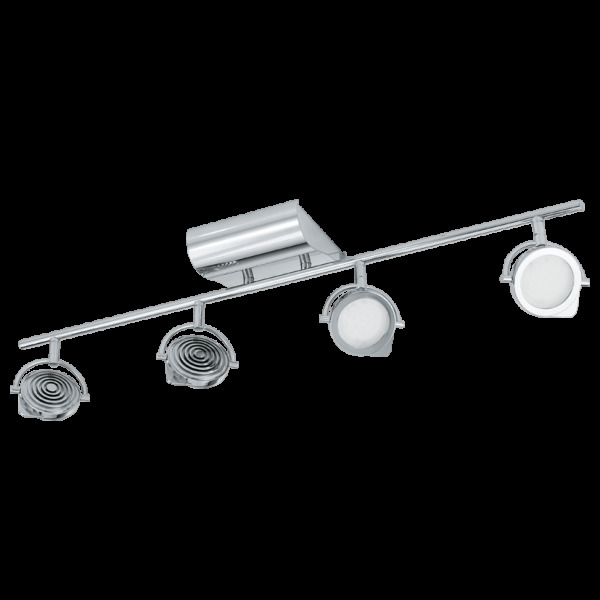 This modern design ceiling spot light bar comes in an aluminium, steel and chrome finish with four spot lights that each have a white glass cover shade. This light would look great in any contemporary setting and would be well suited to rooms with low ceilings. The light is LED lit with each bulb using only 7.5 watts but in total providing around 2180 lumens of light or the equivalent of around 200 watts of standard light. This spot light bar is also double insulated to allow for safe use without need of an earth wire.